An American Red Cross nurse at a railroad station in St. Etienne, helping wounded soldiers in July 1918. “There is a handsome bronze tablet in the Army and Navy building in Washington, memorializing the mules and horses who died in the war; but nowhere is there found a record of the women who died…” declared Helen C. Courtney. Courtney, a member of the Women’s Overseas Service League, was spearheading a movement to establish a memorial for those women of the Great War (World War I) in 1922. The organization had compiled a list of 161 names of “gold star women,” Americans who had given their lives in the world war. 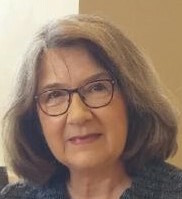 Among the names were several Iowans including Elsie May Hatch, of Edgewood; Kathleen Kennebeck, of Carroll; and Dorothy Koellner, of Fort Madison. Elsie May was a graduate of Edgewood High School. She graduated from Cornell College in Mount Vernon with a bachelor’s of arts degree in 1910. She was working in France as a Red Cross nurse when she died of pneumonia in Paris and was buried there in December 1919. The American Red Cross director in Washington, D.C., W.R. Castle, Jr., wrote a letter to Kathleen Kennebeck’s family in October 1918, providing some detail about her death. She had begun her journey as a Red Cross nurse in New York City where she had been inoculated for typhoid before boarding a train to Canada where she would sail for France. On the train she became ill with a high fever and spent much of the trip in bed. 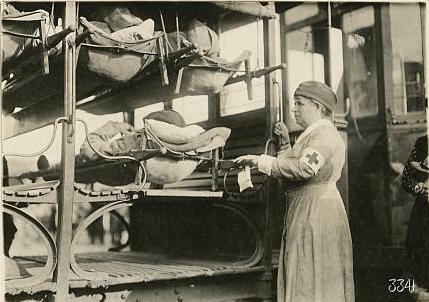 She and the other Red Cross nurses transferred to a steamship called the Vestris for their voyage to France. On the night of September 30 she became very sick, falling into a coma. She never regained consciousness, dying on the morning of October 2 onboard the ship. However, her family wanted Dorothy to be laid to rest in Fort Madison. So they completed the government documents to have her body returned to Iowa. On October 18, 1920, Dorothy’s remains were laid to rest at Gethsemane Cemetery in Fort Madison. An honor guard of 75 service men escorted the body to the grave. Six former army officers served as pall bearers. The city of Fort Madison honored their fallen hero by closing all businesses during the funeral, and churches tolled their bells. The state of Iowa honored ten Iowa nurses who died in the world war on Decoration Day in 1921. Trees, known as “soldiers in white,” were planted on the State House grounds in honor of Elsie May, Kathleen, Dorothy and seven other heroic women.